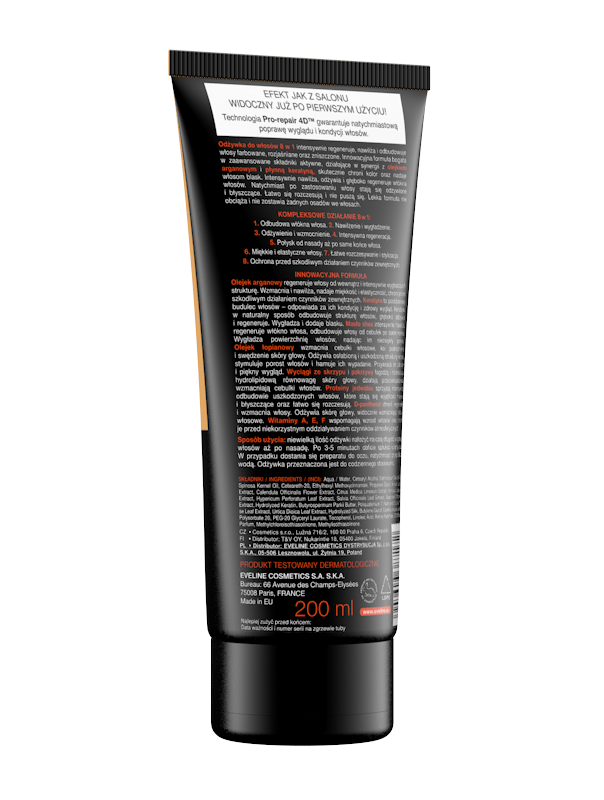 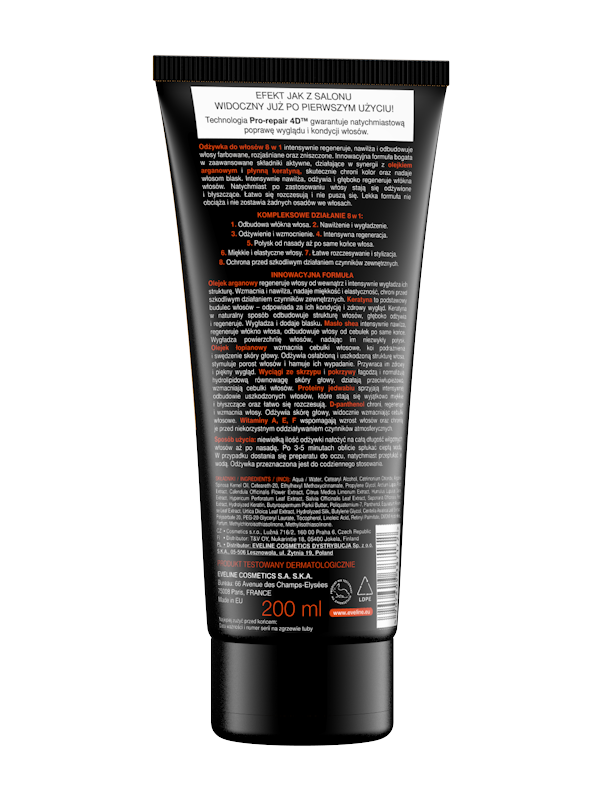 Technology Pro-repair 4D™ guarantees instant improvement in hair’s appearance and condition. 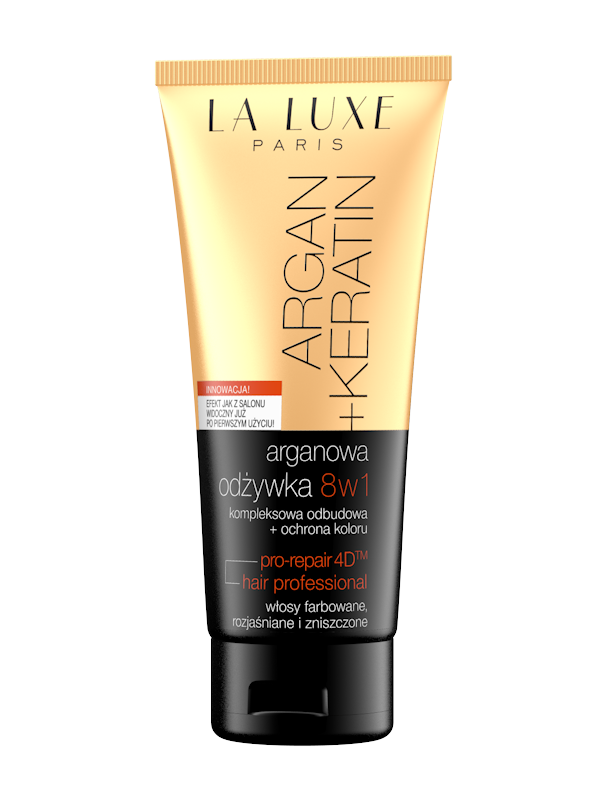 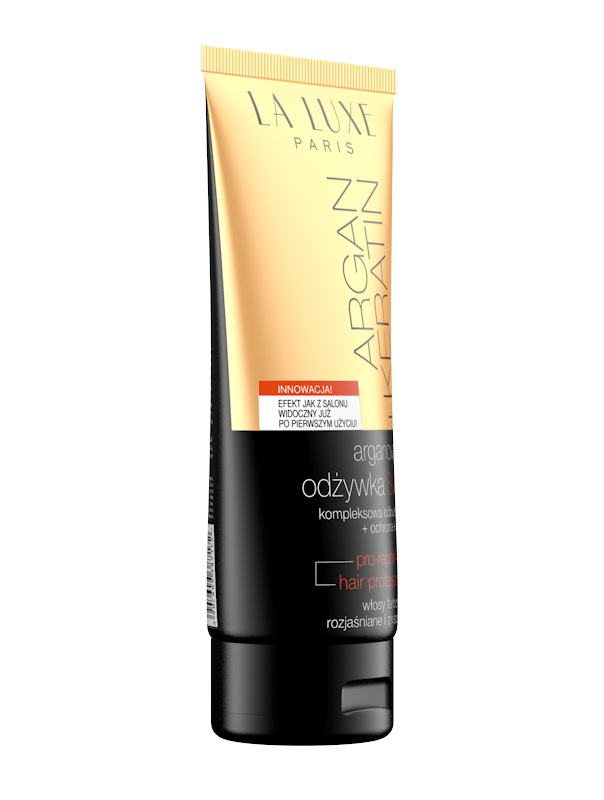 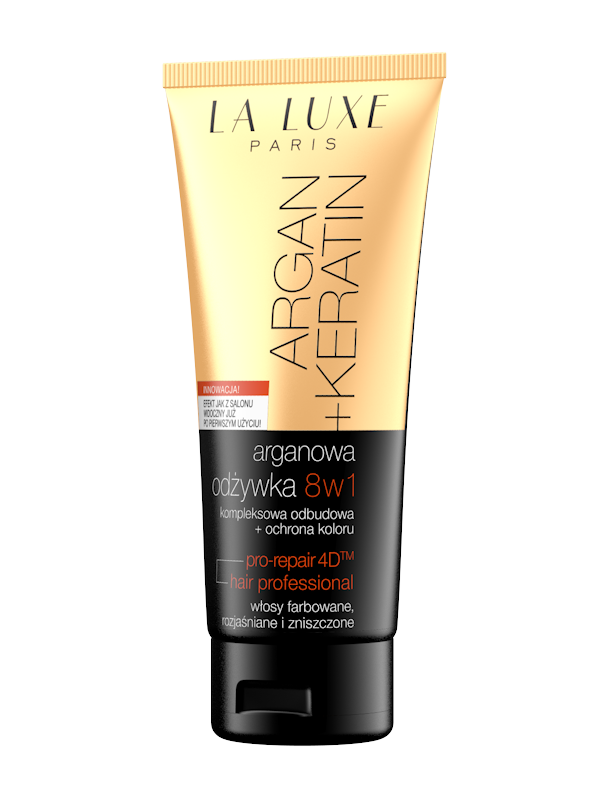 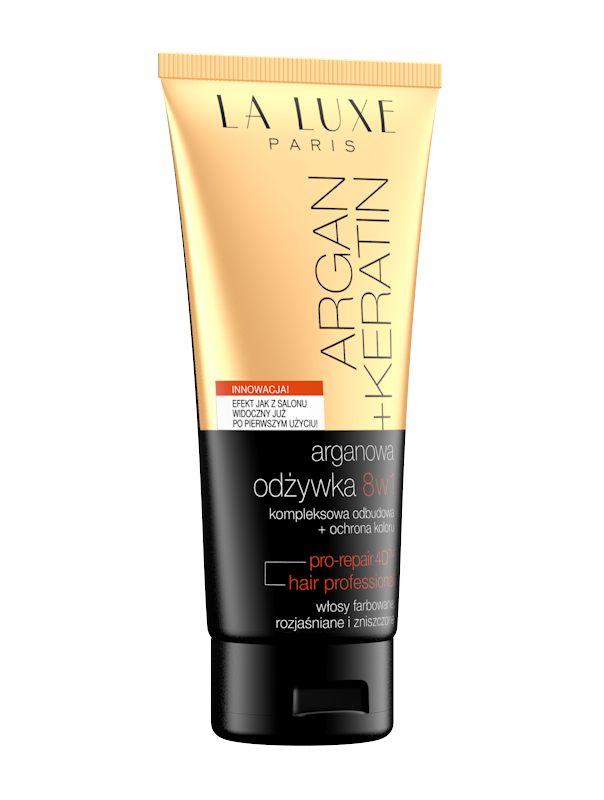 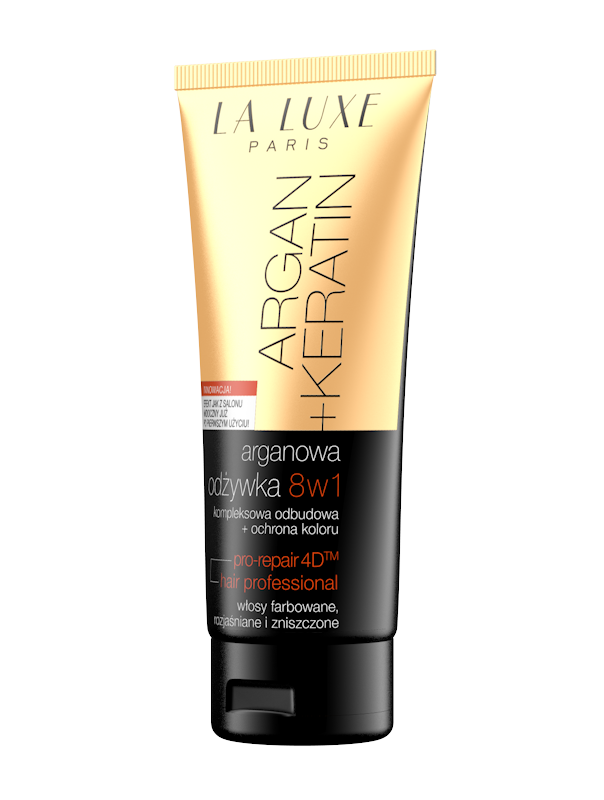 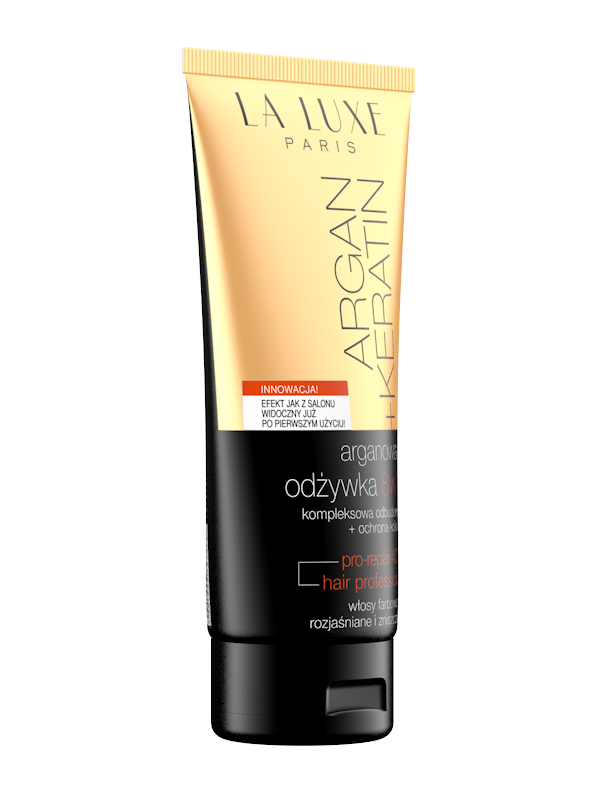 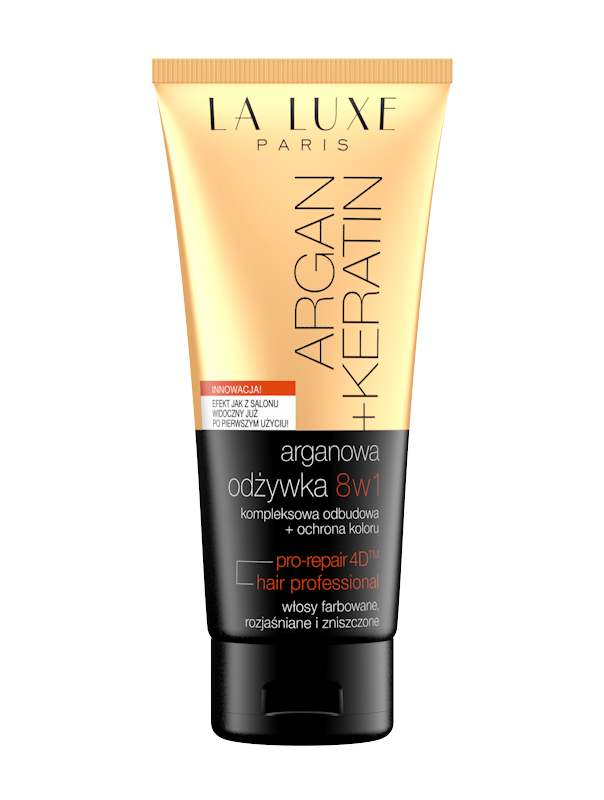 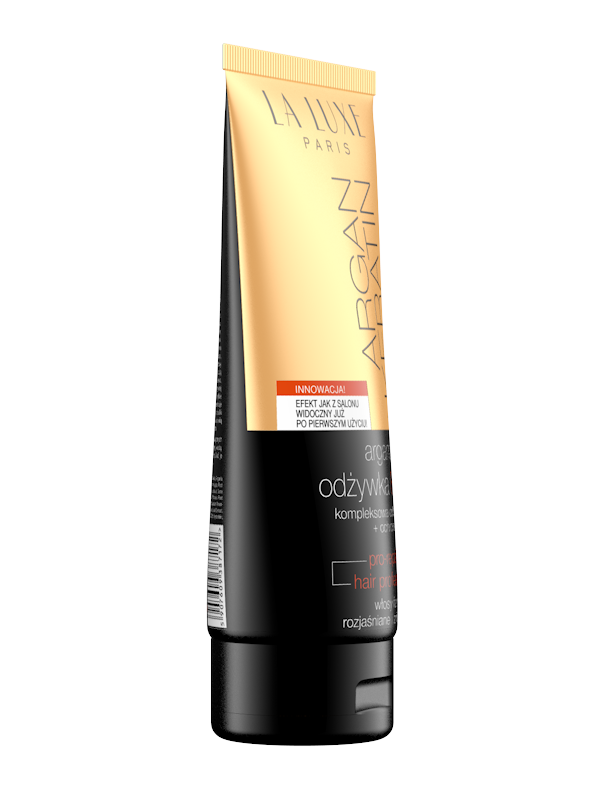 Hair conditioner 8 in 1 intensively regenerates, hydrates and rebuilds colored, lightened and damaged hair. 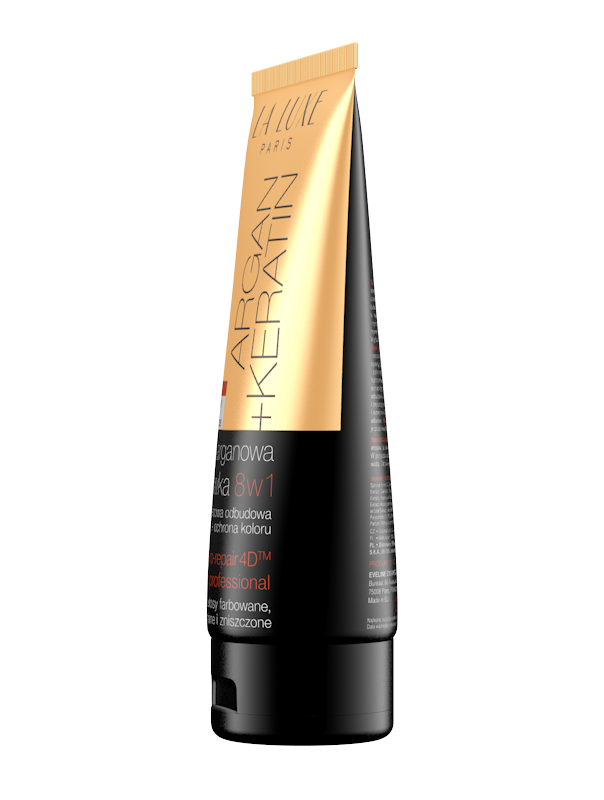 Innovative formula rich in advanced active ingredients, like argan oil and liquid keratin, protects color and provides your hair with gloss. 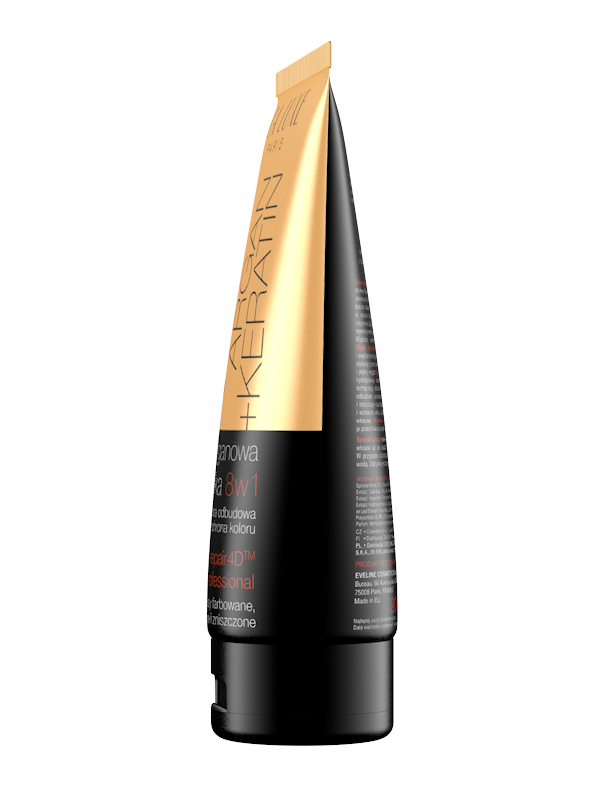 It hydrates, nourishes and deeply regenerates hair fibers. 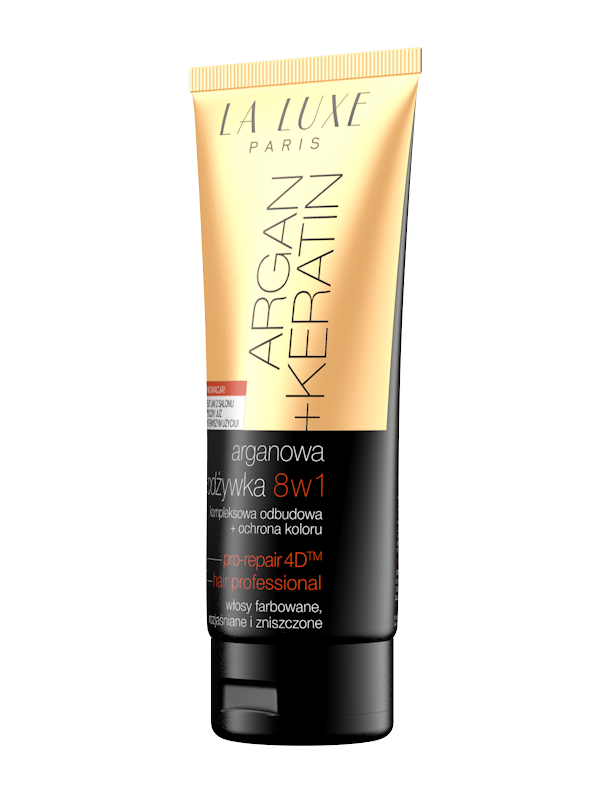 Instant after use your hair becomes nourished and glossy and easy to comb. Argan oil regenerates hair from inside and smoothens its structure. 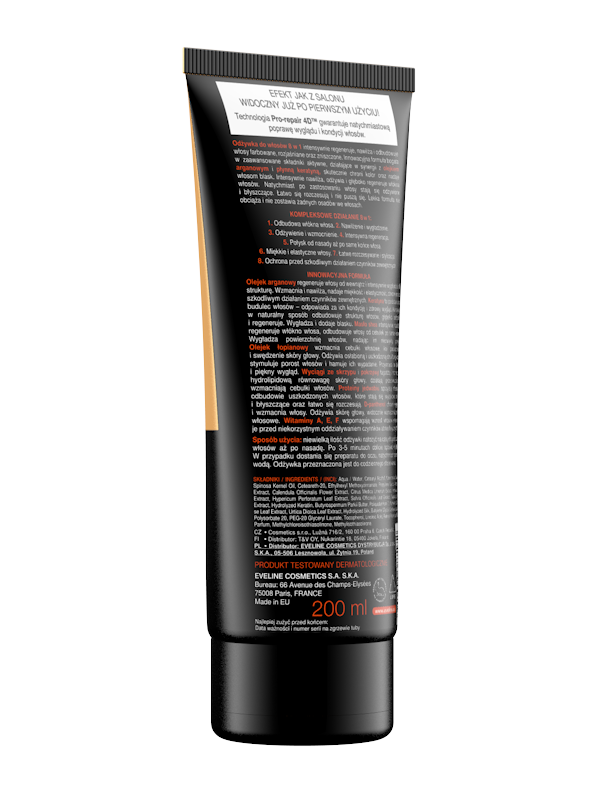 It strengthens, hydrates, provides softness and elasticity and protect from environmental damages. 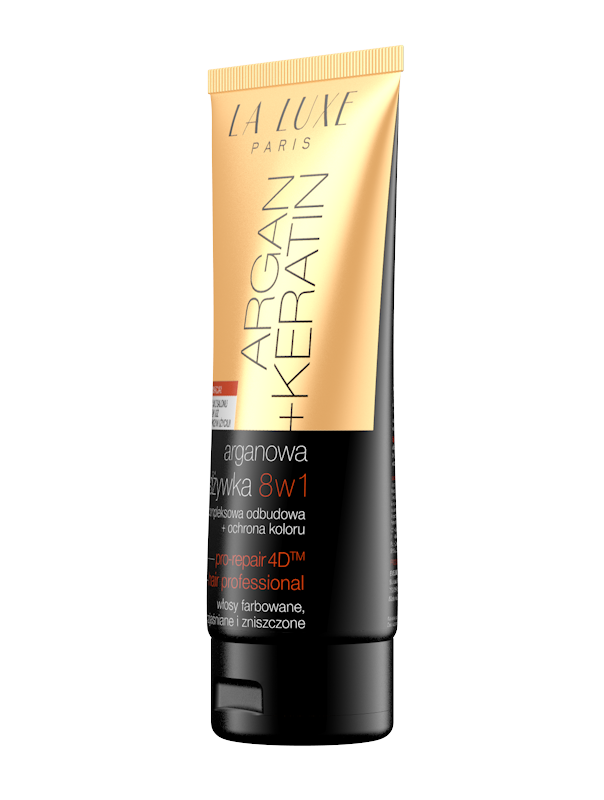 Keratin is a main substance that builds hair. 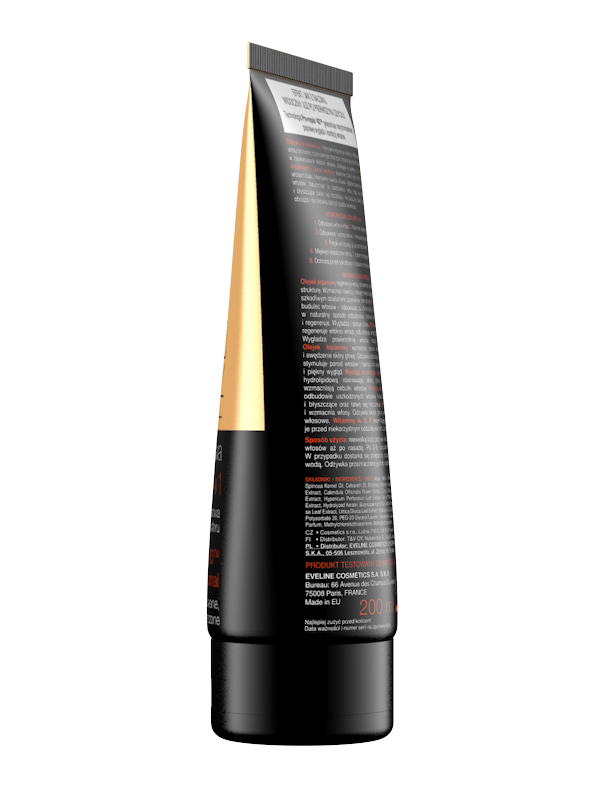 It rebuilds hair’s structure, nourishes and regenerates. 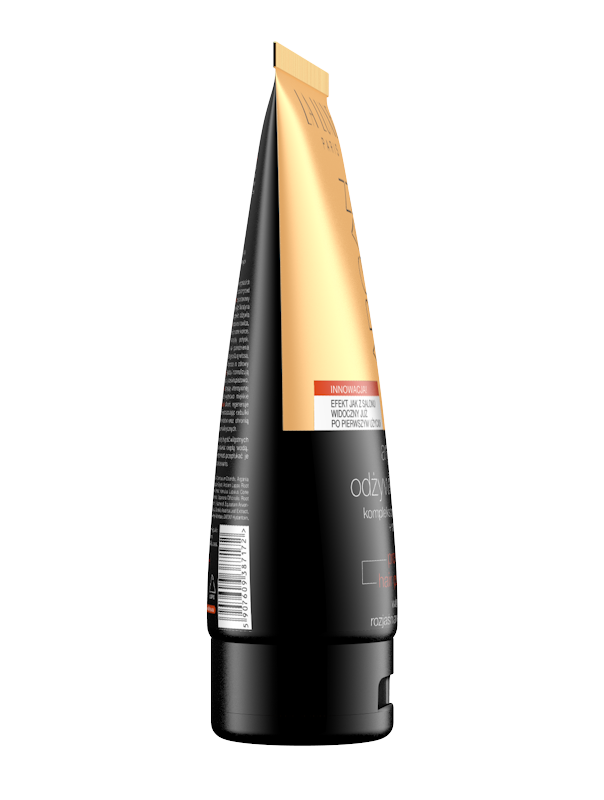 It leaves your hair glossy and smooth. Shea butter hydrates, regenerates hair fiber and rebuild it starting from follicles. 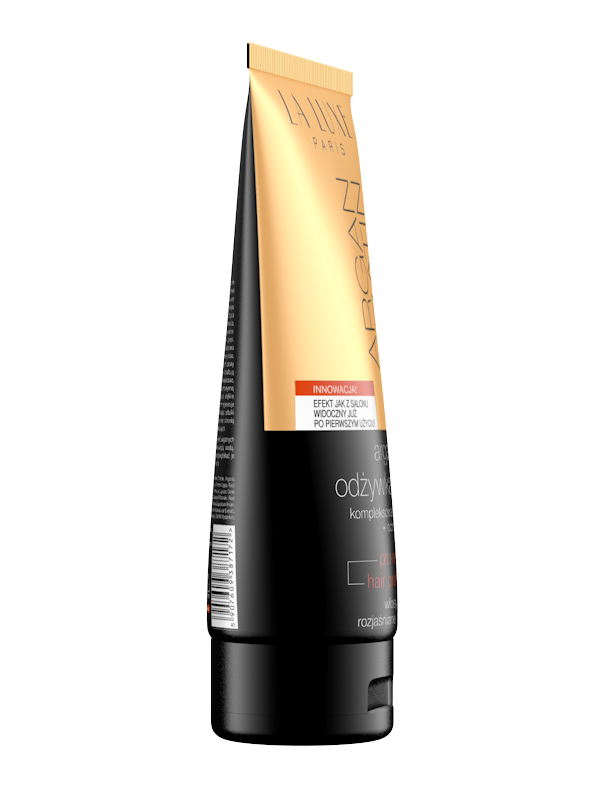 It gives smoothness to the hair and leaves it with an extraordinary gloss. 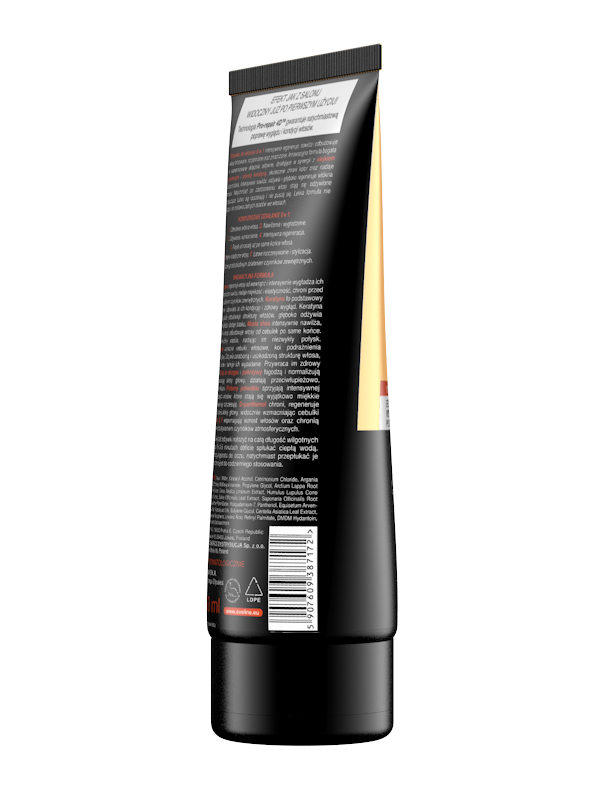 Burdock oil strengthens hair follicles and soothes irritations. 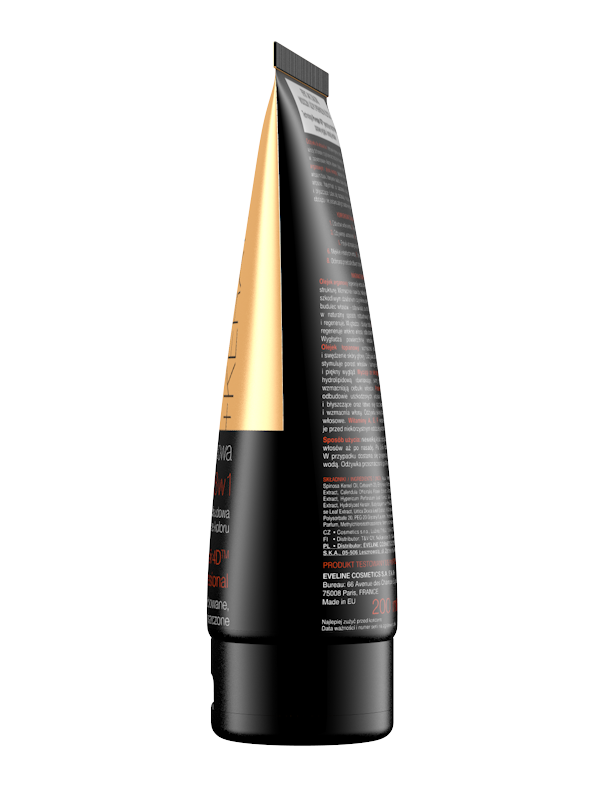 It nourishes damaged hair structure, stimulates the growth and inhibits hair loss. 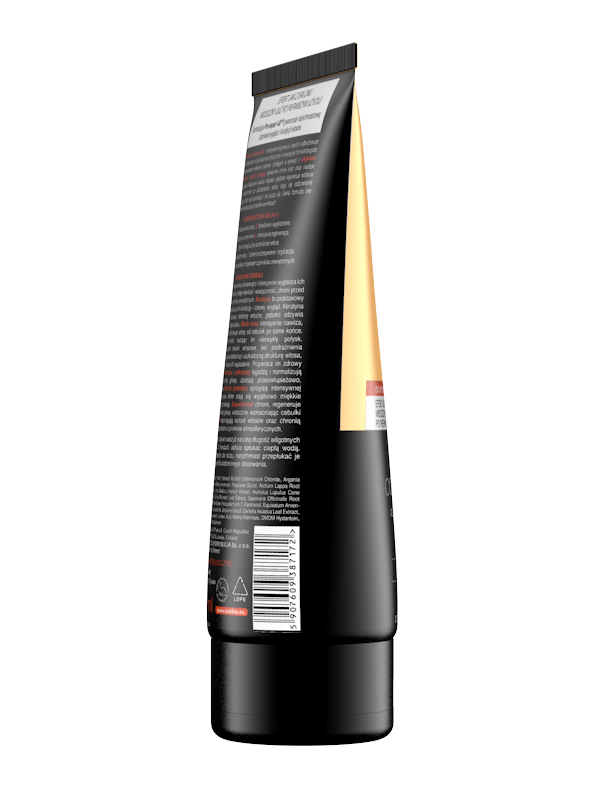 It restores healthy and beautiful appearance. 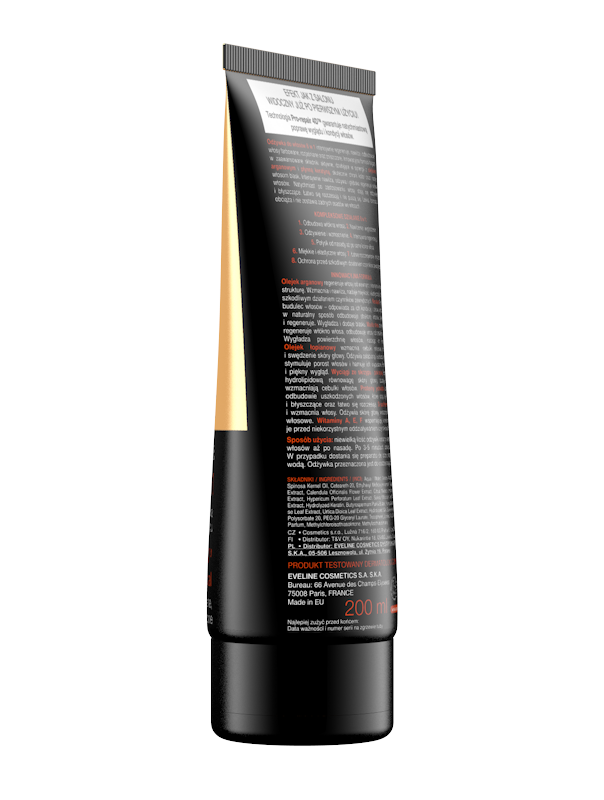 Horsetail and nettle extracts normalizes hydro- lipid skin balance and leaves your hair with dandruff effect. Silk proteins support rebuilding of damaged hair- it becomes soft and smooth and easy to comb. 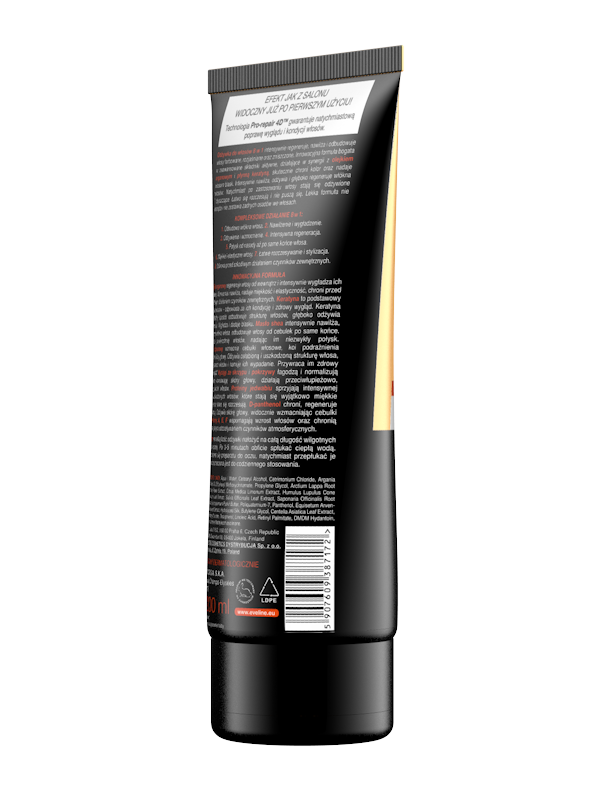 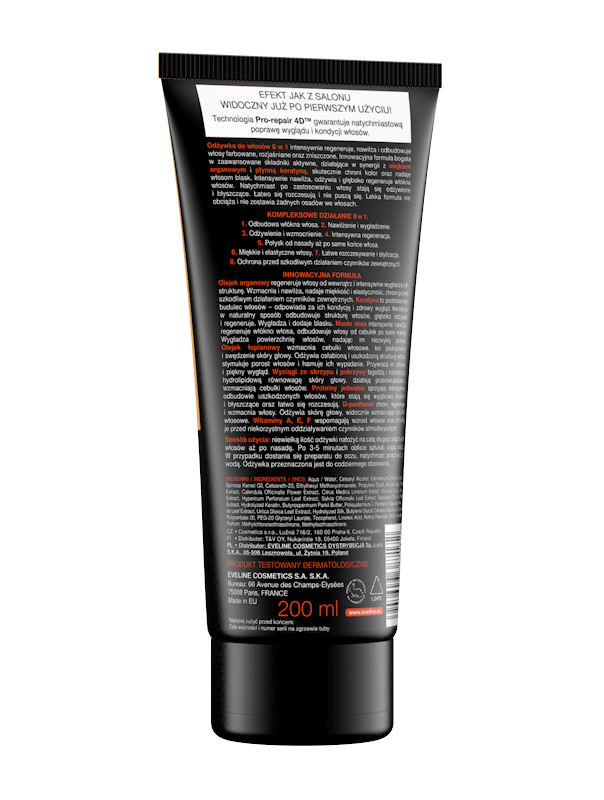 D- panthenol protects, regenerates and strengthens the hair. 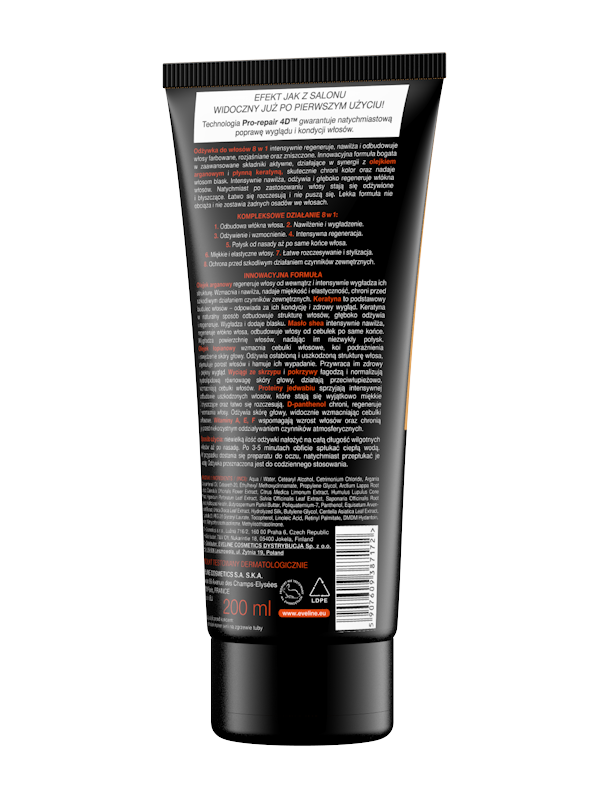 It nourishes skin and visibly strengthens hair follicles. Vitamins A, E, F supports hair growth and protects hair from environmental damages.